Boomplay is a music streaming and download service owned by Transsnet Music Limited. Boomplay houses millions of songs and videos, connecting music lovers with their favourite songs anytime, anywhere. Boomplay currently has over 36 million users, out of which, over 10 million are from Google Play store, and the rest from global pre-installation on TECNO, Infinix & itel devices. The service is currently available for Web and Android use. The app, which won the Best African App at the 2017 Apps Africa Awards, allows its users to stream and download their favourite songs and videos, as well as subscribe to a plan in order to save music for offline play. Over the years, different payment platforms have been introduced and music lovers are able to pay for music via mobile money, bank cards or Boomcoin cards. Boomplay aims to build the largest and most sustainable digital music ecosystem. 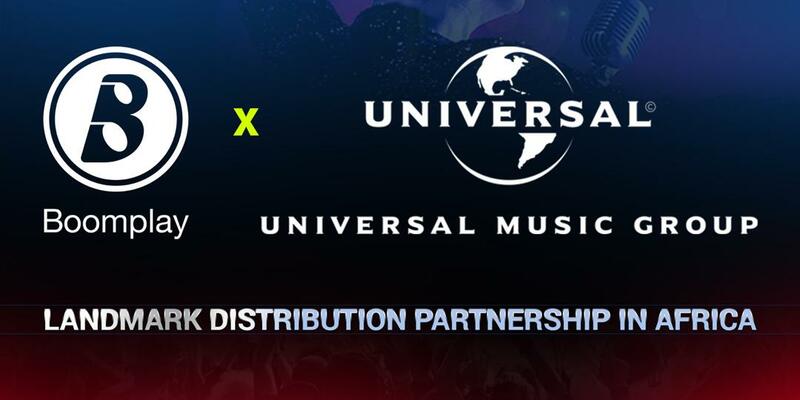 Universal Music Group (UMG) is the world leader in music-based entertainment, with a broad array of businesses engaged in recorded music, music publishing, merchandising and audiovisual content in more than 60 countries. Featuring the most comprehensive catalog of recordings and songs across every musical genre, UMG identifies and develops artists and produces and distributes the most critically acclaimed and commercially successful music in the world. Committed to artistry, innovation and entrepreneurship, UMG fosters the development of services, platforms and business models in order to broaden artistic and commercial opportunities for our artists and create new experiences for fans. Universal Music Group is a Vivendi company.